China From the South China Sea: Waterspout Vessel. 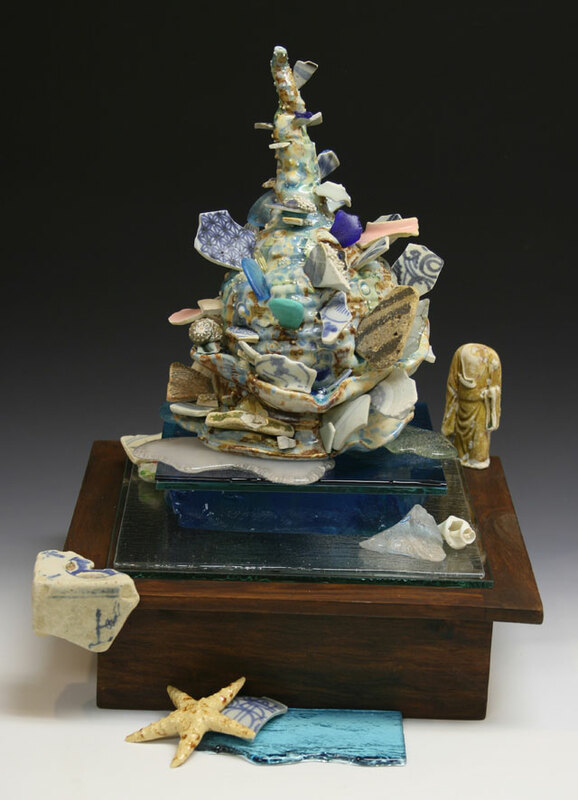 Low fired clay, glaze, ceramic shards, beach glass & mixed media. 17.5"H x 14"W x 18"D.